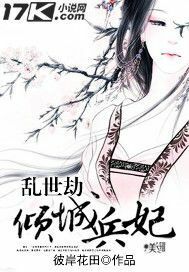 World of Chaos —full title World of Chaos: Alluring Military Consort— is a completed novel written by 彼岸花田. It consists of 106 chapters. She was a pungent new military recruit, Cheng Xue. A woman who solely loved cherry blossoms. After crossing over, she was met with a mishap and inexplicably chased down. When her escape led her to encounter cherry blossoms, she also encountered him. He was dressed in blinding white, pure and clean. When the flowers faded and fell, she made a firm decision. He was a soaring dragon. Every time he saw her in distress, he would save her, always, and treat her problems as everyday occurrences to comfort her. The dust of her previous life had settled. In this life, she viewed the cherry blossoms and walked along a rough road. Everything in the world, except for life and death, was shiftless.